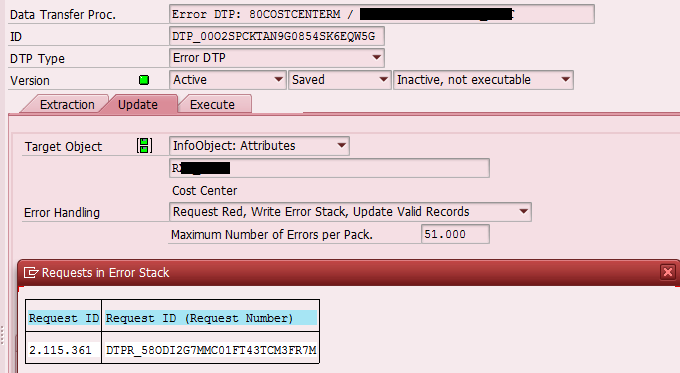 Error stack of DTP is function that is very useful in scenarios where data is not coming in proper format. While using it erroneous records are filtered out and only those which are correct are uploaded into data target. Later on BW administrator can correct the erroneous records and upload it too. This is how output of RSBM_ERRORLOG_DELETE report looks like. 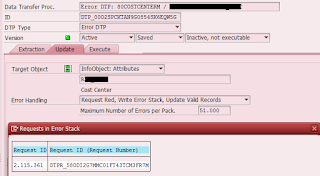 After that the error stack req is not visible from RSB_ANALYZE_ERRORLOG either in t-code RSA1.